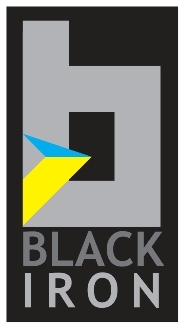 Black Iron is an iron ore exploration and development company advancing its 100%-owned Shymanivske project located in Krivoy Rog, Ukraine. This project contains a NI 43-101 compliant resource with 345Mt measured and indicated resources grading 32% iron and 469Mt of inferred resources grading 31% iron. The project is surrounded by five other operating mines including Arcelor Mittal's iron ore complex. The Company believes that existing infrastructure, including access to power, rail and port facilities, will allow for a quick development timeline to production. Further, the Company holds an exploration permit for the adjacent Zelenivske project, which it intends to further explore to determine its potential. Matt Simpson previously held senior management positions with Rio Tinto most recently as the Mine General Manager at their Iron Ore Company of Canada operation where he worked for over eight years. Prior to joining Rio Tinto, Matt worked for Hatch as a Process Engineer where he designed and constructed metallurgical refineries globally. CEOCFO: Mr. Simpson, what is the overall vision at Black Iron? Mr. Simpson: Black Iron is an iron ore company in Ukraine, and our vision is to have a 10 million tonne a year mine, concentrator and pellet plant in production by late 2015. CEOCFO: How did Black Iron acquire the Ukraine project? Mr. Simpson: Black Iron acquired the asset from a person named Victor Pinchuck in October 2010. The person vending the asset on Victor�s behalf knows a colleague of mine at Forbes & Manhattan (private Merchant Bank that incubates mining companies such as Consolidated Thompson) and asked if we were interested in purchasing it. Upon conducting technical due diligence on the size and quality of the resource along with exceptional access to power, rail and port we made an offer and were able to come to terms to acquire 100% of the property. CEOCFO: What are the benefits and challenges of working in the Ukraine? Mr. Simpson: Ukraine is an excellent place to be in right now because the country has tremendous resources which are largely undeveloped, good infrastructure, skilled/hard working people and favorable tax rates. Specifically, they have 10% of the world�s iron ore resources, but only 3% of world production. In terms of labor, the unemployment rate is roughly 8.8% with frontline workers having good work ethic and education. By the time we are in operation corporate taxes we will be 16% and royalties are only .40 cents per tonne mined, so it is a great country to get into. Mr. Simpson: Right now, we have five drills that are turning. We are doing twin hole drilling on our property called Shymanivske, which is located in Krivoy Rog, Ukraine. The core from this program is going to be used for metallurgical test work as an input to a scoping study, which will be completed around November of this year. CEOCFO: Have you have done seismic on this? Mr. Simpson: We just completed ground gravity and magnetic work and will be releasing the results shortly. CEOCFO: Does Black Iron have its own people on the ground in Ukraine? Mr. Simpson: Right now we are using a lot of consultants and contractors in Ukraine, and have a few offers of employment out for local senior positions. CEOCFO: What does Black Iron as a company know about mining? Mr. Simpson: As the CEO of the organization for the last eight years I worked for Rio Tinto Iron Ore. Most recently, I was the general manager of the mine, so I had full accountability for operations, maintenance, tech services and engineering. I managed around six hundred employees and a multi hundred million dollar operating budget. Further, Black Iron is backed by Forbes & Manhattan which is the same company that supported the development of Consolidated Iron Ore mines in Canada so our team has access to some of the people involved in the development of that exceptional project. For example, Bruce Humphrey, Black Iron�s Chairmen, is the former Chairman of Consolidated Thompson. CEOCFO: So you are the right person for this project! Mr. Simpson: Yes, I believe my work history and experiences position me well to lead the development of this project. CEOCFO: Black Iron recently did an IPO; is the investment community paying attention? Mr. Simpson: We have recently completed our IPO; it was only about two and a half weeks ago. Part of what we are doing right now is just getting the word out about the project so we can increase awareness of our great asset and infrastructure advantage. CEOCFO: Are people interested in iron these days? Mr. Simpson: Iron ore is extremely hot right now. What is really driving iron ore is the growth in China and behind that you have places like India that have recently capped iron ore exports to protect future growth. Further, the horrific incidence that recently occurred in Japan, will further drive up near term demand for iron ore as the country rebuilds which is estimated at $300 billion. The demand is insatiable. CEOCFO: What has Black Iron found as far as the quality of resource? Mr. Simpson: In terms of our resource, we already have an NI 43-101 compliant resource totaling 814 million tonnes, with an average grade of 31.5%. So it is quite a nice size resource. This said, there is even further upside with the existing ore body that we will be proving up later on this year as the extends of the ore body have yet to be drilled. CEOCFO: What is the weather like in Ukraine? Are there weather concerns in doing the work? Mr. Simpson: Ukraine is actually quite temperate. Temperatures range from around minus 5 to around 33 Celsius most of the year, so it never really gets extremely hot or cold there. It is actually quite a nice operating environment because large mobile equipment does not deal well with major temperature swings. CEOCFO: What is the financial picture at Black Iron today? Mr. Simpson: We are quite healthy with $37 million in the bank right now, which is enough to cover us for at least the next year and a half for the work on the project. Most of that money is going to be spent going into the ground for things like drilling and engineering. CEOCFO: What if any challenges are you facing? Mr. Simpson: In terms of challenges, one of the things that we need to develop our project is we need to acquire some additional land for our tailings and processing plants. However, we are fortunate because there are several options available. Our preferred is to lease or acquire a portion of the very large plot of land adjacent to our project that is currently held by the military. The government has publicly stated in the Ukraine that they want to reduce the size of the military and they what to attract foreign direct investment, so we see a nice match there where they want to attract investment. If this option does not work then we can lease or acquire farm land to the South. CEOCFO: Ukraine is looking for foreign investment, but in some countries permitting and environmental issues are a factor; how friendly is the situation in that respect? Mr. Simpson: On Shymanivske, our main resource of focus, Black Iron is fortunate that we already have an extraction permit. This permit contains a series of schedules that we need to adhere to, to maintain said permit. This includes performing feasibility studies by a certain date, acquiring surface rights and going into production by another date, but the dates on our permit are extremely generous and will be very easy for us to achieve. In addition to the surface rights, the other major permit we will need to acquire is environmental approvals. CEOCFO: What about equipment when you start building and mining; is that easily available for you or do you need to bring that in? Mr. Simpson: As part of this project�s development we are going to review suppliers traditionally used by international mining companies, versus what is available locally. We will really try to decide what is going to give us the greatest reliability and lowest cost structure over time. For example there are haul trucks locally made and we need to compare these versus using Caterpillar or Komatsu brand trucks. CEOCFO: Why should potential investors pay attention to Black Iron? Mr. Simpson: The reason why Black Iron is such a compelling investment is that iron ore is all about moving large volumes of material at low cost, and in order to do that you need infrastructure, rail, port, and power to be specific. In our case we are only two kilometers away from the state-owned rail and power lines. We already have a letter from the government committing at least 10 million tonnes capacity on that rail that takes you down to one of five ports on the Black Sea that are within 140 kilometers. The reason that is so important is that if you already have access to rail in particular, you can develop your project in a much shorter time frame, because you are not trying to get all the permits between where you are located and where the water is. Further, you can do it at much lower cost because rail is between 1 and 3 million a kilometer; this shorter development timeframe and cost ultimately equals lower risk. By being able to develop our project in a much shorter time frame than a lot of the other projects that are coming on stream we will also take advantage of very high iron ore sale prices for at least the first few years of operation. Once we are in operation we are going to have really attractive costs, because of our relatively low cost, accessible and skilled labor plus tax advantage. CEOCFO: Final thoughts, what should people remember most about Black Iron? Mr. Simpson: Excellent asset, great infrastructure and a strong management team capable of rapidly bringing this project to operation.